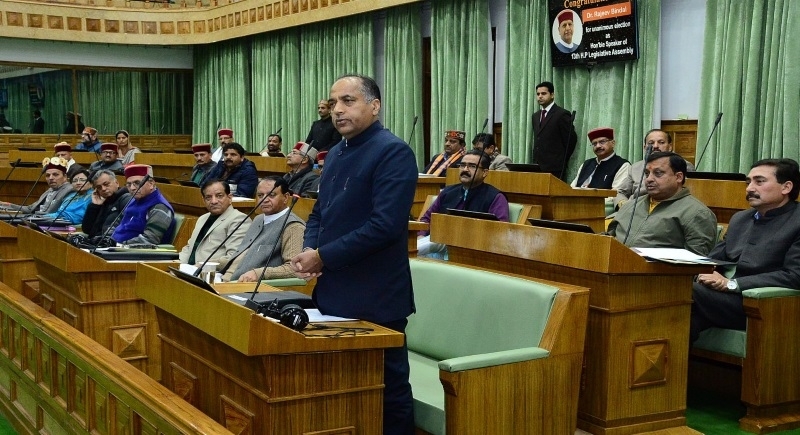 Simla, Feb 9: Himachal Pradesh Chief Minister Jai Ram Thakur presented state Budget for the financial year 2019-2020. While addressing the assembly, CM Thakur said, “the Himachal Pradesh government will implement the 10% quota for economically weaker sections of the general category”. CM Jai Ram Thakur announced, “He also announced that people who had been arrested under the Maintenance of Internal Security Act (MISA) will receive an annual payment of Rs 11,000 as Varshik Loktantra Prahari Samman”. Further, he added, power tariff for irrigation will be reduced to 50 paise per unit from 75 paise. Besides, the state government will provide a 50 % subsidy to farmers for installing solar fencing to save their crops from monkeys.